Exercising Through Pregnancy - What You Should Know! 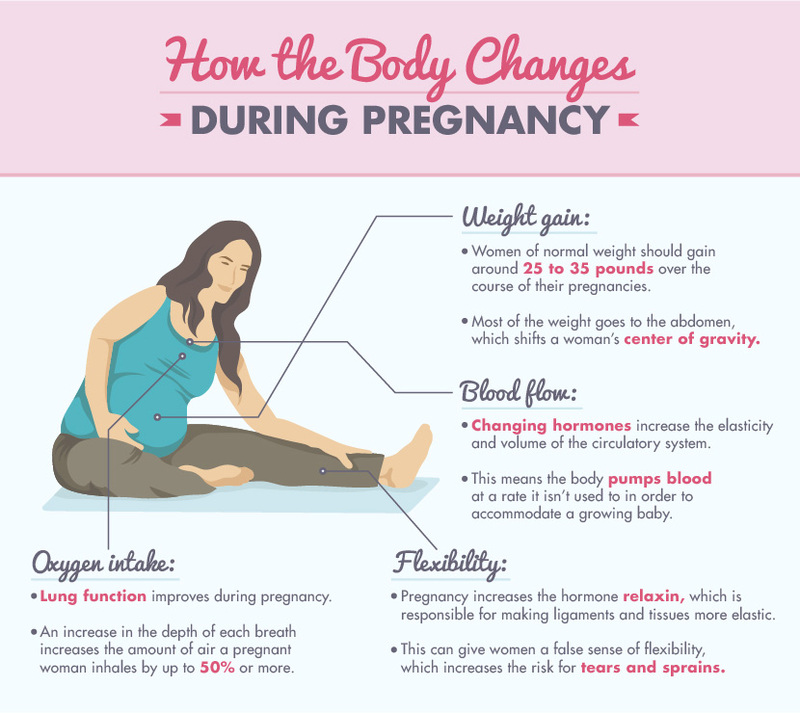 Exercising Through Pregnancy – What You Should Know! Congratulations, you’re pregnant! But does that mean no more exercise and limited movement for the next nine months? The answer: No! But of course, there are certain precautions the mum-to-be must take! 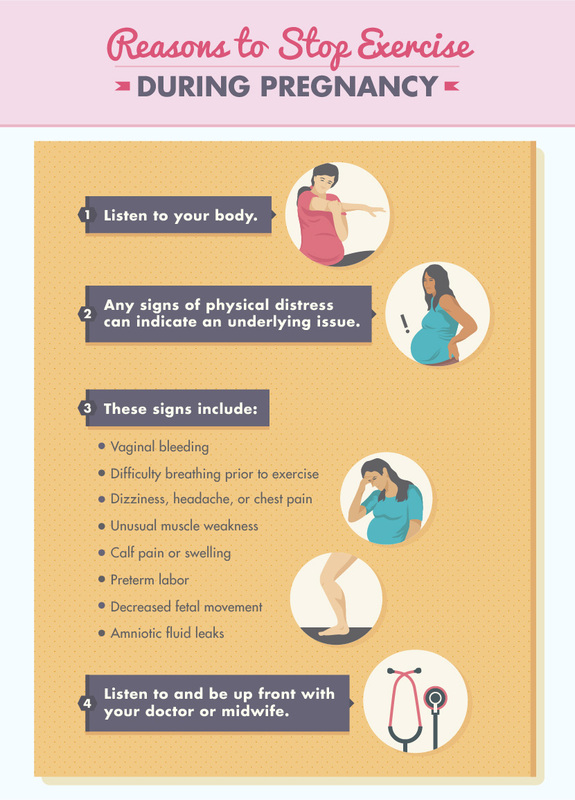 Exercise during pregnancy is safe and in fact, often recommended. Confused as to how to move forward? Don’t worry, we’re here to help! Weight Gain: The American Congress of Obstetricians and Gynecologists (ACOG) recommends that women of normal weight put on 25 to 35 pounds more over the course of their pregnancy. Since most of the weight goes directly to the abdominal region, a structural imbalance is often created resulting in the shift of the woman’s centre of gravity! This shift can often lead to aches and pains because of the pressure on the body joints. Blood Flow: Changing hormones often tend to change the rate at the which the body pumps blood in order to accommodate the new life inside. Oxygen Intake: Now here’s a point that the gives the moms-to-be a chance to cheer! While resting, a pregnant woman often inhales up to 50% more, thereby giving her an increased oxygen intake! Flexibility: Now this one is tricky! During pregnancy, the body sees an increase in the hormone called ‘Relaxin’ which can make ligaments and tissues go soft and become more elastic. This situation can give the woman a false sense of flexibility, thereby making her more prone to tears and sprains as she may not correctly understand the limitations of her body. However, it is important to note that stretching is essential for pregnant women and they should definitely consult a doctor to figure out how they can do so without any negative impacts on their bodies. It is important to note that despite all these changes, exercise is not only safe, but recommended during pregnancy as it not only helps maintain fitness, but also improves the ability of the body to cope with labour and delivery thereafter! A minimum of 30 minutes of physical activity is often recommended! 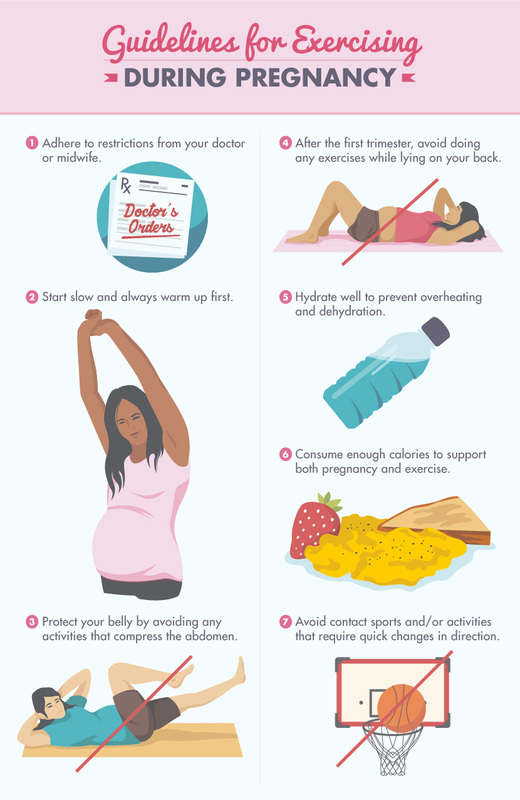 Let’s take a look at a few points on how exercise can benefit the woman during her pregnancy! – While it’s genetics and age that play the major role in gestational diabetes in women, exercise can reduce that risk by up to 27%! – While weight gain is a given during pregnancy, it is important for women to still keep it in check and gain only recommended pounds and not more! Exercise is what can keep this in check! – Happy hormones, Endophins are produced during exercise and can do a great deal of good for the woman’s mood and confidence. These are just a few of the many benefits of exercising during pregnancy. It s also important to note that the ideal workouts differ woman to woman. Those who exercised regularly before conception can look at maintaining a more or less similar level of fitness while working out during pregnancy! However, it is important to let go of high expectations, personal records and difficult goals!It’s time to focus on maintenance and be prepared to modify as pregnancy progresses. For the woman who haven’t been exercising before conception, it’s always a good idea to consult your doctor and start with light exercises like walking or prenatal yoga. However, the first step in any exercise plan should be a consultation with the doctor. Until a while back, health care professionals suggested that pregnant women should limit their maximum heart rate to 140 beats per minute. However, these days, that recommendation doesn’t really hold true. As long as the pregnancy is healthy and normal, physically active women can remain at a heart rate they are used to. It is also essential to note that as the pregnancy progresses, many women may choose not to work out within their normal heart rate zones. A comfortable working heart rate may change from day to day. Another thing that women need to be prepared for is the slow down their bodies will experience! And it’s not a bad thing! It’s just the body’s way of adjusting. The American Council on Exercise (ACE) suggests moving from heart rate-based training to ratings of perceived exertion as it is justas effective and less dependent on heart rate response, which often changes during pregnancy. Breathing, heart rate, and the way muscles and joints feel can help determine where the woman stands on the perceived exertion scale. When it comes to choosing a workout – the options are plenty! From walking to swimming to yoga, there’s a lot the woman can do! In fact, a woman can even go running if she was actively doing so before pregnancy, with certain modifications to the work out, of course! All said and done, here is the very important bottom line: a pregnant woman must listen to her body! If there is any distress contact your doctor and make any changes to your workout, if needed accordingly! And don’t forget, each pregnancy is different! So always find something that works for you, not some one else! Here’s wising you a healthy and happy pregnancy! Did Ranveer Singh Just Gatecrash A Wedding?